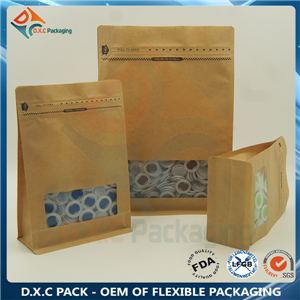 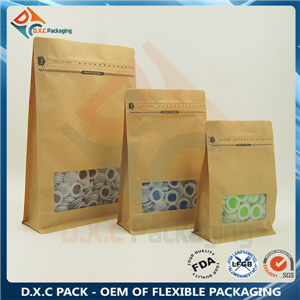 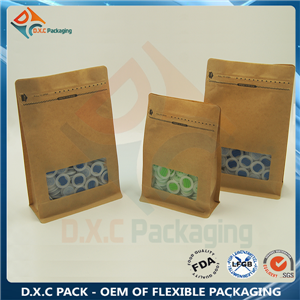 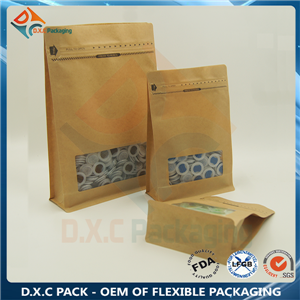 Kraft Paper Flat Bottom Pouch with pocket zipper and clear window make your products packing environmental and outstanding, clear window for better to shpw your products. 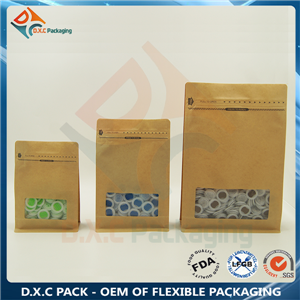 Our kraft paper flat bottom pouch with clear window and pocket zipper mak your products attractive and with perfect shelf appearence. 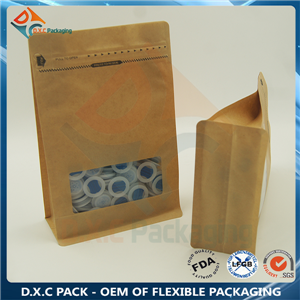 Kraft paper material means environment friendly.Clear window is better to show your products.